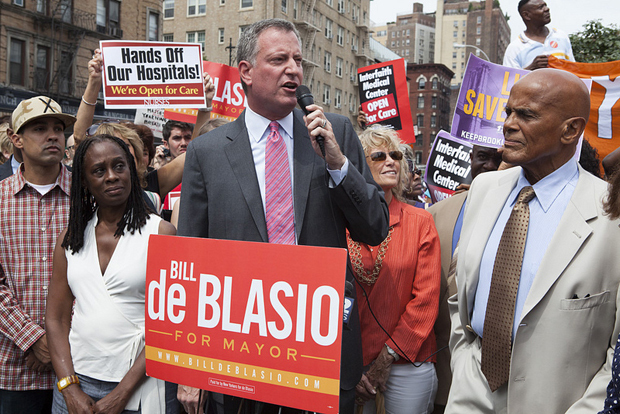 Bill de Blasio at a rally to save NYC’s hospitals with his partner Chirlane to his right. Editor’s Note: Due to Mayor de Blasio’s failure to protect NYC’s carriage horses and pass a ban on horse-drawn carriages, this story’s praise of him categorically no longer reflects our opinion of him. THIS YEAR’S ELECTION MARKS A CRITICAL JUNCTURE FOR ANIMALS IN NEW YORK CITY, on the verge of either bursting through a glass ceiling or being relegated to the basement for another 4, 8, maybe 12 years. Bill de Blasio has recently experienced a surge in the polling for NYC Mayor. In fact, he is tied for first place with Christine Quinn. For animal advocates that is welcomed news, not only because of how disastrous Quinn has been, but because de Blasio has whole-heartedly embraced the need for a more humane city. Mahatma Gandhi once observed that “the greatness of a nation and its moral progress can be judged by the way its animals are treated.” We now have a candidate for the Mayor of New York City who understands the significance of such a statement, and holds the promise of a greater city. 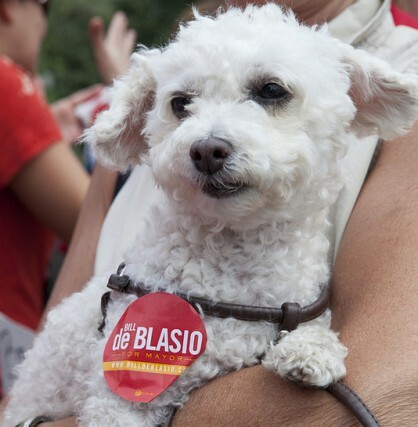 As a Public Advocate, de Blasio has been supportive of animal welfare reforms, and he is the only candidate running who has devoted a section of their platform to the humane treatment of animals. In his campaign for mayor, deBlasio calls for an end to the inhumane and exploitative treatment of carriage horses. He also calls for the regulation of stores that sell puppy-mill dogs, and seeks to improve AC&C (Animal, Care & Control). Furthermore, while a member of the City Council, deBlasio co-sponsored legislation which would ban exotic animals like elephants and lions from circuses in NYC. Both of de Blasio’s children, Dante and Chiara, are vegetarian— a decision they came to on their own. Please help support Bill de Blasio’s campaign by joining your fellow animal advocates at the Animal Advocates for Bill de Blasio cocktail reception on August 26th at the Peter Max Studio in Manhattan. A supporter of Bill de Blasio. Learn more about Bill de Blasio and his issues on his campaign site. KIDNAPPINGS. VIOLENCE. DECEPTION. COVER-UPS. The plot of an action-packed Hollywood thriller? Not quite. It’s just business as usual at SeaWorld, the world’s most prominent (and profitable) animal theme park, where 45 orcas-or “killer whales”- currently live in captivity at its various locations. The billion dollar industry started seeing cracks in its carefully-crafted facade of “good wholesome family fun” in February of 2010, when one of SeaWorld’s top trainers Dawn Brancheau was suddenly, and with seemingly no explanation, killed by the one of the park’s orcas — Tilikum. Why would an animal who shows no aggression towards humans in the wild lash out with so much violence at a human while in captivity? And why would SeaWorld place the blame on an experienced trainer? Filmmaker Gabriela Cowperthwaite sought to find the answer, and the result of her quest is the powerful documentary Blackfish. The gut-socking film investigates the notorious incident, and ultimately becomes much more— a statement on animal consciousness, providing irrefutable visual and audible evidence that orcas are highly emotional beings. They show acute anguish and distress when taken by force from the wild and separated from their families, as Tilikum was when he was a 2-year-old calf. They yearn for expansive space. They fail to function normally in confined spaces. They suffer. They go mad. And this has consequences. “I hope “animals for entertainment” becomes a relic, a circus, something from another century that we evolved out of,” Gabriela told us when we spoke to her about Blackfish recently. 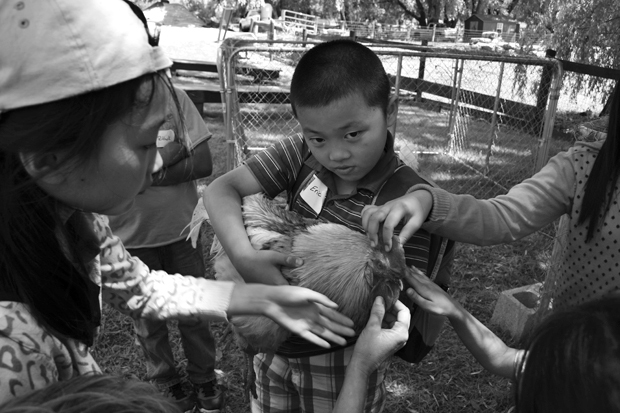 Here, the director shares more of her thoughts on her film, and on animals. The vegan community has really embraced Blackfish, many reacting with statements like, “this is why I’m vegan.” How does that make you feel? It’s an honor. I understand, better than I ever have, what it means to share this planet. I think [journalist] Nicholas Kristof said it best, “we haven’t agreed on where the line should be drawn, but we all agree there is a line.” I think that’s progress. The tagline of the film is “Never capture what you can’t control.” What are your thoughts on other animals in captivity who might be described as easier to control than Orcas? I think the film makes a case against animals for entertainment, but I do believe it calls into question so much more. 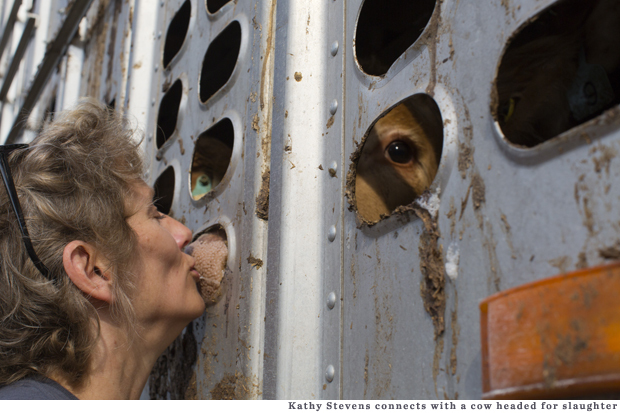 I hope the film encourages us to revisit the “cringe factor” we all experience when we see an animals being used as commodities. We’ve all felt this cringe-factor at some level and I think it’s a great instinct because it comes from empathy. But over time it can be drummed out of us if we let it. Institutions that profit off of animals used for entertainment notoriously engage in corruption. But were you especially shocked at the level of deception going on at SeaWorld? What was the biggest revelation for you? I couldn’t possibly name just one. Learning about [orcas] shortened life-spans in captivity was a revelation. Learning about the number of aggressive incidents between killer whales and trainers was shocking, but learning about the aggression between killer whales and the constant social strife was jaw-dropping for me. I guess I always wanted to think that at the very least, these animals bond with each other. And that’s just not the case. I was hoping to “show, not tell” the audience a story. I was hoping that if I pulled back the curtain and allowed the audience to hear the fact-driven story, they would have authentic reactions that they discovered on their own, not because the film was telling them how to feel or what to do. But the facts about killer whales are so relatable. They have strong family bonds, they seem to experience grief, they are highly intelligent – these are things that remind us of ourselves and allow us to understand and empathize in a powerful way. Can you talk a bit about the journey of this film—the challenges and triumphs of bringing a film that deals with the controversial topic of the human/animal relationship to the big screen and a wide release? Blood, sweat and tears! It took us 2 years to complete the film. We went from looking for funding, to gathering willing interviewees, to hearing about whale trauma, human trauma, and of course knowing we better get everything right because the big guns might come after us..it was very stressful. The first triumph was finishing the film. The second, and most memorable, was getting accepted into Sundance. The third was just mind-boggling: getting bought by Magnolia Pictures and CNN Films. I cried from happiness, from exhaustion, and from the realization that people might see this film, and that we had a shot at helping tighten something up that has come unraveled in the world. Since making this film, do you feel a deeper bond with the orcas? I feel awe inspired, I’m fascinated, but what I feel the most is respect. What I learned about what these animals are capable of defies imagination. There’s no way we can ever give them what they need to thrive or survive in captivity. 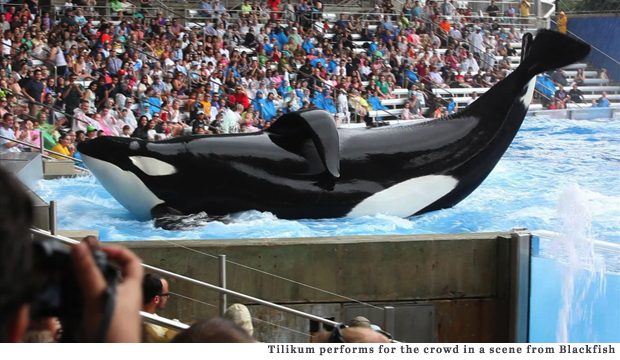 Blackfish is in theaters nationally. For information on current and upcoming screenings, visit the film’s site. Intro and interview by Julie Gueraseva. Photograph courtesy of Magnolia Pictures.